Are You Hitting the Show Circuit? Catskill Horse would love to hear your news and results at local shows so please feel free to send it in for our coming soon " Catskill Equestrians " focus column. 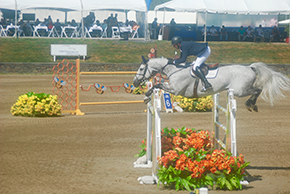 Please send copyright released photos, with name of rider and horse and details of event and results to us at info@CatskillHorse.org and we'll include you! Also please see our Publishers Welcome where we always include news of shows/events where Catskill Horse will be in attendance this season. If you shoot us advice of your class times and information in advance we'll try and catch up with you and say Hi - and be sure to include you on our wrap up feature articles of the events. 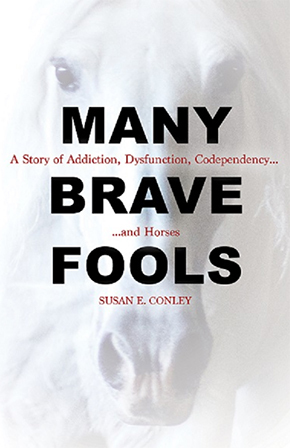 Editor's Pick: Many Brave Fools. 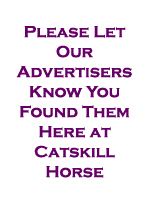 Catskill Horse often runs special introductory promo rates for advertisers and offers special deals for renewing advertisers. 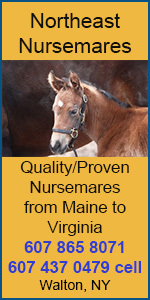 Please contact us at info@CatskillHorse.org for more info. Welcome to The Merry Band at the Catskill Horse. 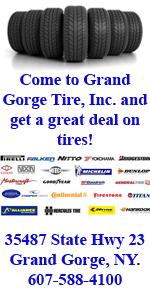 We hope you enjoy browsing our monthly online magazine. This .org digital magazine, began as a community resource serving the North East region of the USA, and has grown to reach a national and even international audience. 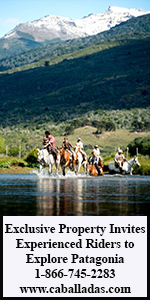 The complete source for everything horse with a bevy of archived educational articles, tips and advice for multi-riding disciplines for horse owners everywhere that encompasses everything horse and rural lifestyle related. In addition to our Directory of useful services and horse lover articles check out our latest features Hit the Hay Accommodation Guide, The Feed Bucket Restaurant Guide, Horse and Home Real Estate Guide, Stallion Directory and Equine Art at the Catskill Horse. Plus coming soon our shopping choice guide! Come join our Merry Band at the Catskill Horse. And don't forget to check in at our Facebook page for our weekly Giveaway contests. If the warmer weather has you dancing with delight, you are not alone. Our horse herd is bouncing around the pastures with their heels in the air. What plans do you have for this riding season? 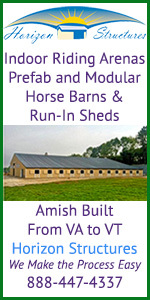 Is your barn in need of some tidy up after the winter? Have your horses wrecked expensive blankets that you contemplate throwing out? 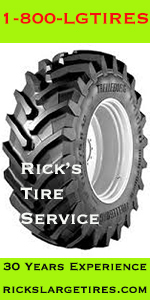 Are you up to date on your horse care needs? Is your bank balance on the lean side due to high hay expenses and do you need to better manage your budget? Would you like to extend your outdoor living space or build an affordable home on your property to better enjoy time in the country with friends and family? We have answers! Please enjoy this bumper edition of Catskill Horse magazine with tips and advice on all these topics to help you get started off on the right hoof. 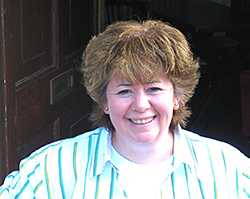 Check out our popular A Bit of Advice and Bit Between the Teeth columns. 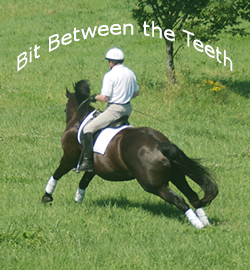 The latest advice topic is on how to get your horse on the bit and our controversial column Bit Between the Teeth always has something going on to get your goat! Thanks so much for reading and please share news of our magazine with your friends and family. 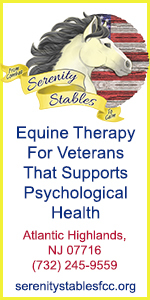 Please to visit our Facebook page and keep up on current news and come join the chat at the Catskill Equestrian Group too. Publisher: Horse in a Kilt Media Inc.
As with human athletes, high performance equine athletes cannot be kept at peak performance year round and a rest from heavy work can actually contribute to a stronger athlete in the long run by allowing the body to heal and rejuvenate. The breakdown of racehorses at racetracks around the country, have many folks scratching their heads searching for the reason. In our recent blog, we pointed out that medications could possibly provide the answers and in particular bisphosphonates such as Osphos®. Please read the blog for opinion and more information on this important topic. The use of these medications does not just affect the racehorse industry, it is a wake up call for all horse owners. Enter Now For Your Chance to Win A Copy of This Fabulous New Book! 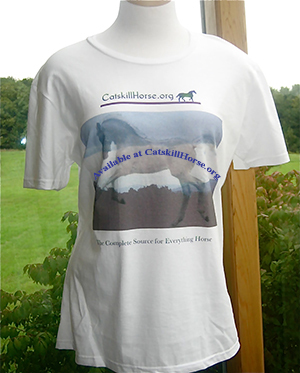 Catskill Horse is pleased to announce that we now have T-Shirts, mugs and notebooks with our own arty design available for purchase to help spread the word. 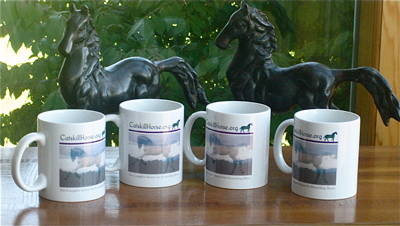 Buy any one of our products - choose from our 100% cotton T's or buy a mug or notebook. T-Shirts are available in Womens Fitted S/M/L/Xl and Unisex S/M/L/XL/2XL for only $20 plus $6.50 S/H. 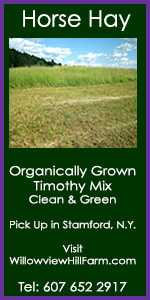 If you are located in NY please add 8% sales tax. Mugs: $12.95 plus $6.50 S/H. Please add 8% sales tax if you are located in NY. These fun notebooks are available for $11.95 plus S/H fee of $2.00. Please also add 8% sales tax if located in NYS. Checks should be payable to Horse in a Kilt Media Inc., and mailed to P.O. Box 404, Stamford, NY 12167. Please allow 1-2 weeks for delivery. Here is some advice on what to look out for as your horse is administered vaccines this season. There have been reports of some serious adverse reactions this year, so be vigilant and ask your vet for their advice and specifically what adverse vaccine reports they have received through their channels. It’s important to be able to distinguish between minor side effects and those reactions that warrant a call to your veterinarian. However, if the signs listed above last for more than 24 hours, you should consult your veterinarian as soon as possible to inform them of what is going on with the horse. 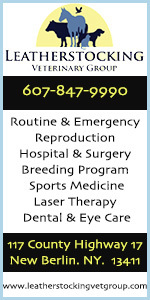 This will allow your veterinarian to provide you with treatment advice and care instructions. •	Swelling at the injection site several days post vaccination. These more serious side effects are rare, but do require immediate consultation, and, in some cases, medical intervention. Working with your veterinarian is the best way to ensure your horse is being evaluated based upon its particular needs. 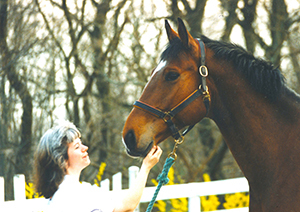 Many veterinarians follow the American Association of Equine Practitioners’ recommended guidelines for core vaccinations. Veterinarians can also be helpful in determining the need for other risk-based vaccinations based on an assessment of your geographic threats and travel plans. They are also familiar with the proper handling and administering of vaccines, which is important because those handled improperly can actually become ineffective or may increase the risk of side effects. CH note: This advice comes from a leading vaccine manufacturer and is provided in excerpts. 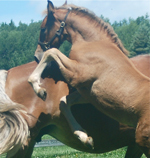 For lots of up to date news and events please fan us on facebook at www.facebook.com/CatskillHorse. 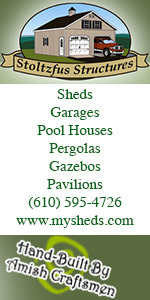 Have an event planned? Send us the details and we'll post it our events calendar page. 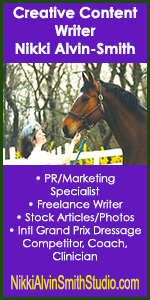 While Catskill Horse has a staff of professional contributing writers/reporters/photographers, Catskill Horse is always interested in receiving submissions of articles and photos for publication from new writers. 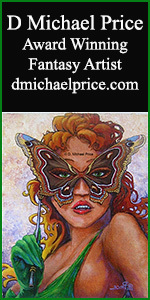 We can provide a photo or authorship credit for those works accepted. Please do not submit via mail - we prefer email submission. 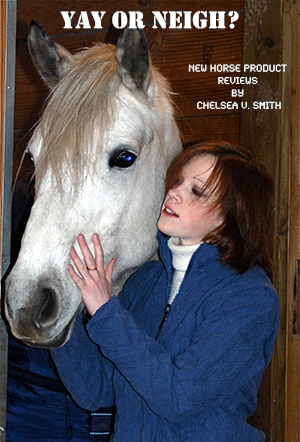 Send your ideas/articles/wrap up features/photos to us at info@CatskillHorse.org marked attention Editorial. If accepted you will be notified via email. 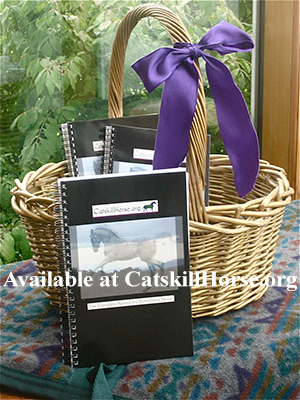 Send your email address to info@CatskillHorse.org and we'll be sure to add you to our mailing list.